As an international manufacturer of various commodity and specialty chemicals, BariteWorld has a strong ability to service manufacturers and distributors with agricultural chemicals products. 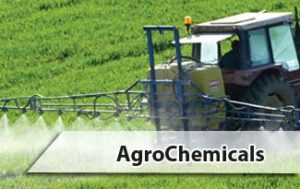 With decades of experience in sourcing reliable chemical supply, BariteWorld consistently finds steady and competitively priced supply chains for agricultural chemicals. With our logistics management savvy, BariteWorld focuses on the provision of value-added supply chain solutions to our customers in need of agricultural chemicals products. BariteWorld’s products include but are not limited to: acids, acrylates, alcohols, amines, glycols, oils, pigments, polymers, solvents, surfactants and other additives. BariteWorld always ensures our supply of products meet the highest standards in production, quality, safety and service.